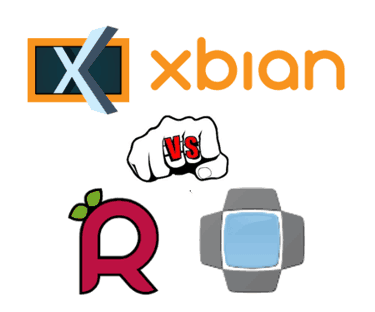 My comparison of OpenELEC vs Raspbmc vs Xbian for Raspberry Pi continues in this post, with focus on various options and features offered in each of them. 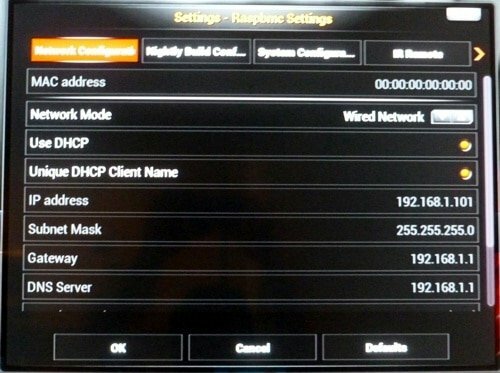 After introducing 4 operating systems for Raspberry Pi and comparing the installation, boot, and operation speeds of OpenELEC vs Raspbmc vs Xbian in Part 1, this post will discuss in detail various options, features, and other non-important but nice-to-have “frills” that the three operating systems offer. It is clear from my previous comparison that Xbian was not only the easiest operating system to install but it was also the fastest and most responsive of the three. Let us see how OpenELEC vs Raspbmc vs Xbian compare in terms of the extras that they offer over just vanilla XBMC. To recollect, the objective is to run a low-power media center that can play HD video from home server through the wireless network. I will not cover services such as CouchPotato, Sick Beard, Transmission, and SABnzbd or a webserver in detail. While I will not cover or compare USB installation and overclocking (except touching on it briefly). The comparison was on the barebones Raspberry Pi with a Transcend 8 GB Class 10 SD card. Note that all tests were done on the same SD card. After testing each OS, the card was fully formatted using SD Card Formatter. I found Xbian to be the most responsive, fast, and newbie-friendly. Find the versions compared below and read on to know more about OpenELEC vs Raspbmc vs Xbian. All three OSes offer a very nice settings window that has all customizable settings relevant to the operating system and services. As shown in the pictures below, they offer options to configure your host, time, enable/disable services such as SAMBA, SSH, etc., configure network, and more. Many of the above packages may of interest for anybody who wants to setup a low-power server. After couple of attempts, I successfully installed the SAMBA package. It took about 5 minutes to install (through Ethernet) but there was no progress bar or anything to indicate what was happening. One time, when I was on Wifi, Xbian actually froze but I thought it was still installing the package and let I stand almost 2 hours. Nevertheless, it is a great effort that will make life easier for a lot of people. In the final leg of OpenELEC vs Raspbmc vs Xbian I am going to compare few non-essential but nice-to-have features and issues I encountered. OpenELEC has been around for quite some time and so it has quite a bit experience behind it. 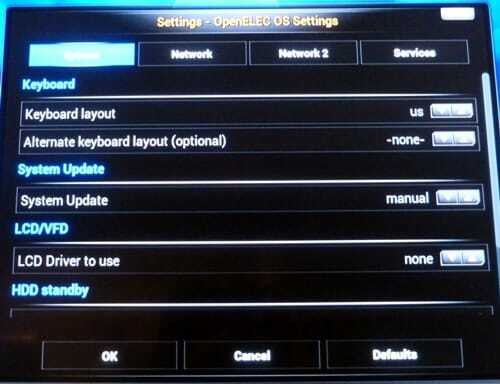 OpenELEC OS itself is designed to be more immune to user-caused crashes. This means less control over the operating system. But most users prefer not do any commandline activity anyways. This however does not mean that you cannot mess with it or hack it. If you are Linux-savvy you can still do all things you want to do. One problem I had with OpenELEC was that power-off through the menu was erratic. Many times XBMC interface would restart instead of the whole system powering off. This is not ideal when the Raspberry Pi is powered using the TV's USB port. If the TV cuts off USB power before Raspberry Pi powers down it could corrupt the OS files. Raspbmc is based on Debian, one of my favorite Linux distros. Therefore, commands are very similar to that of Ubuntu, which I am familiar with. So it made it easy to perform commandline activities. Raspbmc comes with a custom background. One issue I had with Raspbmc was that it took 30 seconds or more to shutdown. This is an issue if your Raspberry Pi is powered through your TV's USB port. Again, if the TV switches of first then it could corrupt the OS files. A minor but annoying issue I had with both OpenELEC and Raspbmc was that Wifi WPA2 Passkey was not visible while typing and having Caps Lock key on caused some characters to appear incorrectly. This caused quite a bit of headache before I SSHed into OpenELEC, opened the configuration file, and found the Passkey to be incorrect. Xbian was the least problematic, fast-loading, and responsive OS in my tests. It is also based on Debian making commandline activity easier (for me). It is community developed through Github. While, it may be a bit of security concern, Wifi Passkey was visible while typing, making it is error-proof. Also, Xbian automatically scanned and provided a list of available Wifi signals, which was unique compared to typing in the SSID in Raspbmc and OpenELEC. Another minor feature I liked in Xbian was the Boot and Shutdown animations. Unlike Raspbmc or OpenELEC which had either a black screen or a static logo image, Xbian showed a nice progress bar of the major activities. In fact, one time OpenELEC froze with a blank screen and I wasn't sure what was happening. After a few minutes, I had to pull the plug to reboot. While Xbian's SSH was a bit flaky (could have been because I was on Wifi?) I was greeted with a nice surprise when I SSHed into it. Xbian shows a Settings menu when you login using SSH. This menu provides the same options as the one that is available through the XBMC interface to configure Xbian. I thought that this was a very nice and one-of-a-kind feature on Xbian. Xbian also puts overclocking at the tip of your fingers. Xbian has already done the testing and provides you with 6 overclocking settings, which are color coded to show the degree of risk involved. 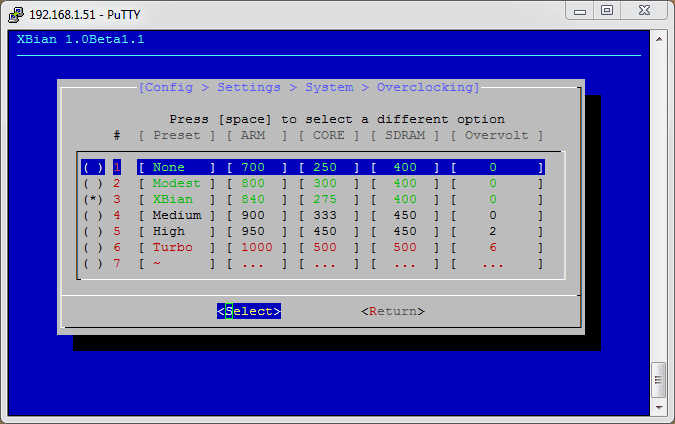 Overclocking settings are accessible through both the XBMC interface as the SSH interface. Note that Xbian by default overclocks your Raspberry Pi from 700 MHz to 840 MHz. This could also be one reason why speed of Xbian vs Raspbmc or OpenELEC is much faster. Again, all is not well with Xbian, opening Xbian Settings and Package Manager (~30 seconds total) was slow, and both package installation and SSH were a bit flaky (may be due to Wifi?). But none of the issues hinder its basic operation as a network media streamer. For being still in Beta, Xbian already feels and works great. Kudos to the developers. Xbian describes itself as “a small, fast, and lightweight media center distro for Raspberry Pi” and aims at providing bleeding edge and fastest XBMC solution for Raspberry Pi. In my experience, I found this to be true. My suggestion is, even though my experience showed Xbian was better in every way that was of importance to me, do not ignore the others. For some of you, it might more important to have a stable SSH server than a fast interface. It does not take too much time to install them and so give them all a try before you decide. My opinion may change after I use Xbian more. But at this point, the answer to OpenELEC vs Raspbmc vs Xbian, for me, is Xbian.